Mere days after the infamous Kent State shootings, an incident between police and demonstrators at the historically black college Jackson State University in Mississippi left two African American students dead and dozens more wounded. With the already heightened sense of urgency in the air, a group of black students at Mundelein College banded together to demand their own form of campus change. 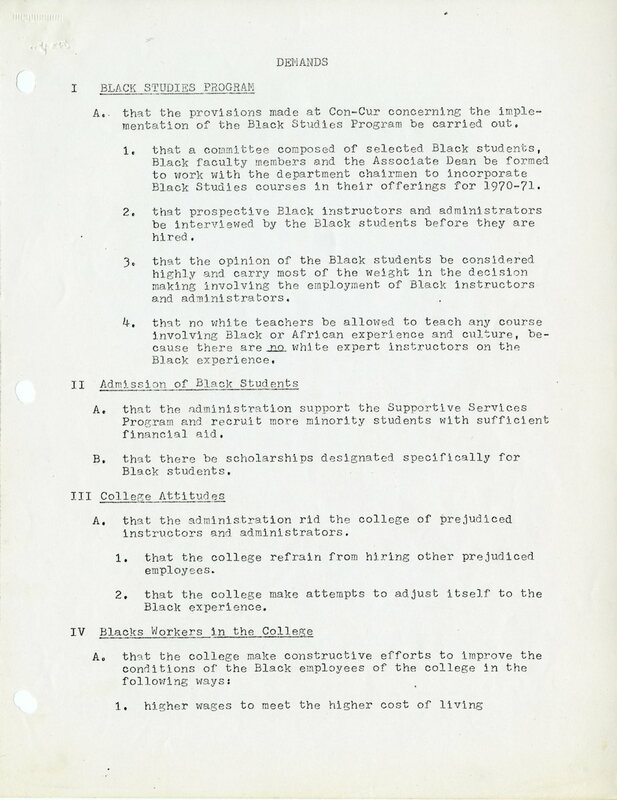 From black student scholarships to higher wages for African American campus employees, the implementation of a Black Studies Program to a special meeting room just for MuCuba, these Mundeleinites required the school to irrevocably change its ways for the future benefit of its students and staff of color.